In 1998, 69% of cars on 30 mph roads were above the limit. By 2010 the figure had fallen to 46%. The reduction in the proportion of cars exceeding 35 mph has fallen even more sharply, by a half in nine years. In 2001, 32% of cars on 30 mph roads were travelling at more than 35 mph. By 2010 the figure was 16%. The numbers are revealed in an analysis of speeds in free-flow traffic and accident rates by Dr Kit Mitchell. Speed and Safety: Evidence from published data is co-published by the RAC Foundation and the Parliamentary Advisory Council for Transport Safety (PACTS). The report also shows that speeds on motorways have reduced too. The percentage of cars exceeding 70 mph fell from 57% in 2003 to 49% in 2010. Dr Mitchell notes that speed limit offences (fixed penalty notices, convictions in court and written warnings) in England and Wales have declined rapidly in the past few years after a large rise in the 1990s. 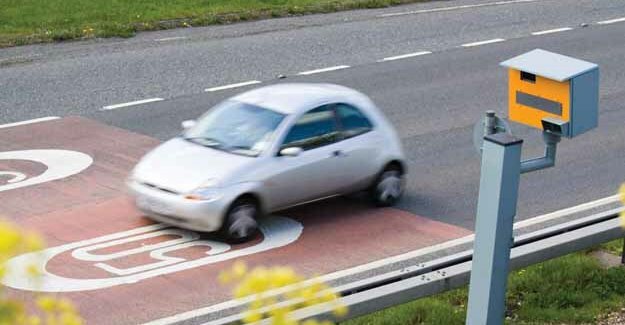 While much of the recent decrease in offences (about 60%) could reasonably be put down to better speed limit compliance, the rest could largely be due to more drivers being offered speed awareness courses. “There are two significant things about the fall in speeds. First, they predate the economic downturn and the recent high fuel costs. Second, there is an association between falling speeds in urban areas and falling fatality rates. It is particularly strong for pedestrians. The conclusion is clear. Whatever the cause of an accident the speed at which it happens will determine its severity. “There is another interesting part of the story. Even as ministers discuss raising the motorway speed limit to 80 mph, drivers are actually cutting their speeds on this part of the road network.